Team leader Charla from the Okemos, Michigan pet center reached out to tell us about a community effort she and her team found particularly rewarding. She told us that she and her team were excited about the 1,000 tennis balls they donated to the Capital Area Humane Society, one of their in-store adoption partners. All of Okemos' neighbors made this possible by purchasing tennis balls at the register to benefit CAHS. 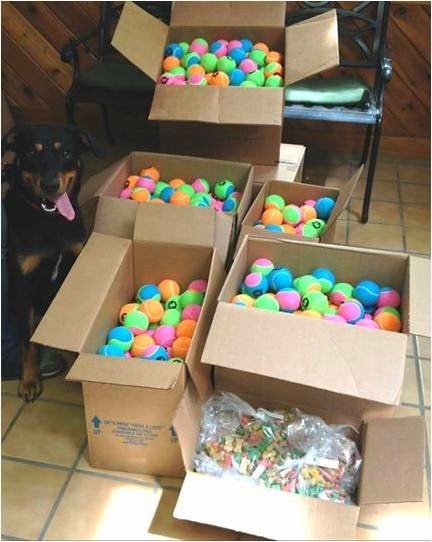 On behalf of all the CAHS staff and volunteers (and animals), Blaze would like to say thank you to the Pet Supplies Plus store in Okemos for collecting and donating 1,000 tennis balls for the dogs and puppies in our care! Several treats were also donated, which Blaze gladly helped himself to after this photo. Thank you, Pet Supplies Plus, for all that you do for promoting adoption, and supporting our organization! 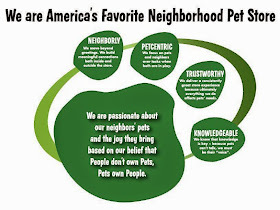 Charla and the whole Okemos team executed a very neighborly, pet-centric effort with their neighbors, and in doing so they boosted a community organization. Great way to get involved!